Porter Wright's Federal Securities Law Blog has been chosen as one of the Top 25 Business Law Blogs of 2011 by voters in the LexisNexis Corporate & Securities Law Community. This is the second Porter Wright blog to be recognized by LexisNexis this year. "We are proud of the continued growth and strength of our Firm's securities blog, and are honored to be recognized and nominated by our peers in the legal community," said Robert W. (Buzz) Trafford, Porter Wright’s Managing Partner. 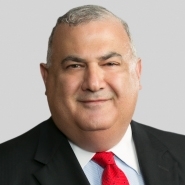 "Our goal is to provide our readers with the very latest in securities law news and developments, and this honor confirms that we're successfully delivering on this purpose," said Partner Robert Tannous, blog editor. The LexisNexis Top 25 Business Law Blogs of 2011 are listed online. The Blogs chosen offer timely news, tips, analysis and practical information for practitioners in business, corporate and securities law. Porter Wright's Corporate & Securities Practice Group has assisted clients in the closing of billions of dollars in securities transactions and have managed high-profile transactions ranging from $50 million to over $2 billion. Our team provides counsel to public companies regarding regulatory compliance and disclosures under the Securities Exchange Act of 1934 and capital formation under the Securities Act of 1933. We also help companies address various issues the modern public company faces, such as corporate governance, executive compensation, change in control provisions, mergers and acquisitions and partnering, joint ventures and strategic alliances.